I have awful toothache at the moment and I’m struggling to eat anything so it was the perfect time to try out a soup recipe from Hello Fresh yesterday. 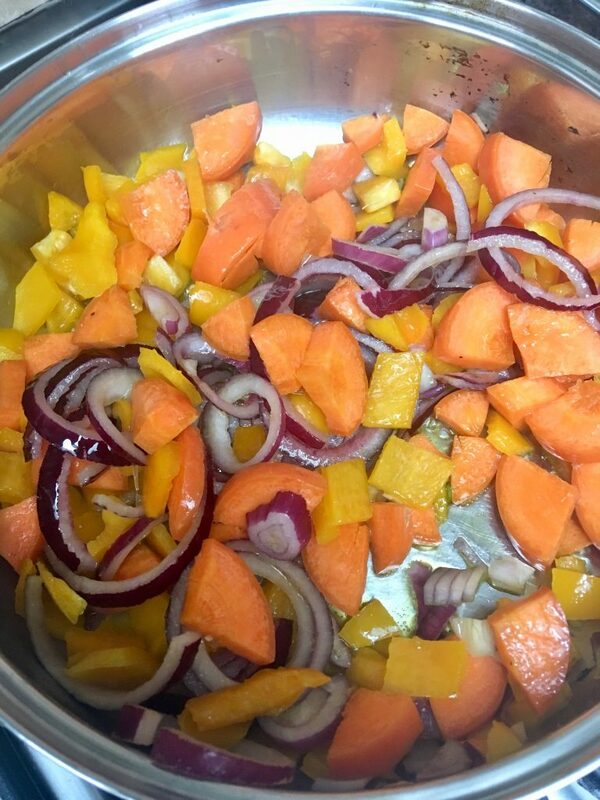 It is a chunky soup so I ended up blitzing it, which I haven’t shown in the photos but it was scrumptious! 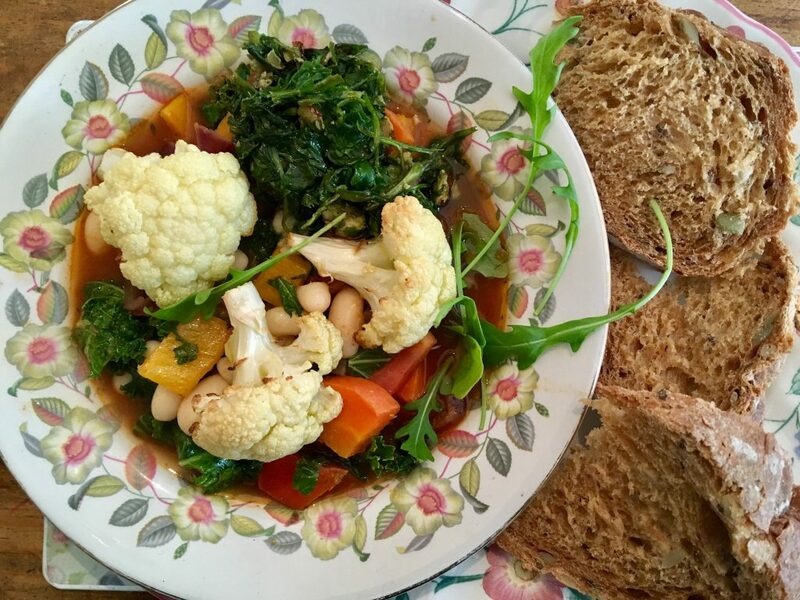 Jam packed with vegetables and bursting with flavour, it was exactly what I needed to perk me up. The Veggie Packed Italian Soup with Rocket and Salsa Verde is part of Hello Fresh’s balanced range. All of their balanced recipes are developed by in-house chefs and approved by a nutritionist. They are under 550 calories, low in salt, sugar and fat. The balanced range include leaner cuts of protein, pulses, whole grains and lots of fresh vegetables. They are designed to be wholesome, flavour-filled meals that will satisfy the whole family. Roughly chop the basil (stalks and all) and half the rocket. 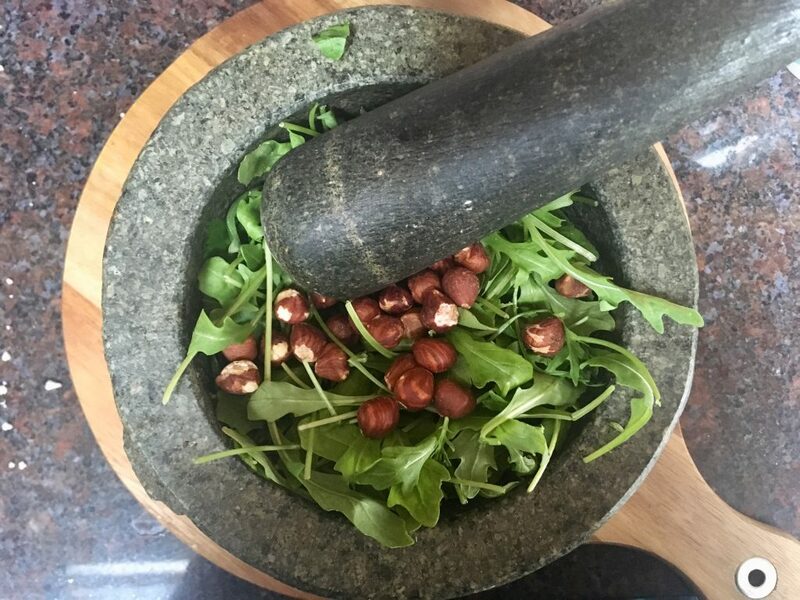 Pop the basil, chopped rocket and hazelnuts in a small bowl and use the end of a rolling pin to roughly mash them together. Tip: Use a pestle and mortar if you have one! Stir in the olive oil, you should have a rough, thick paste. Season to taste with a little salt and pepper. Chop the vine tomato into small pieces. Ladle the soup into deep bowls and spoon small amounts of the pesto on top for stirring in. Top with the cauliflower florets. Finish with the remaining rocket. 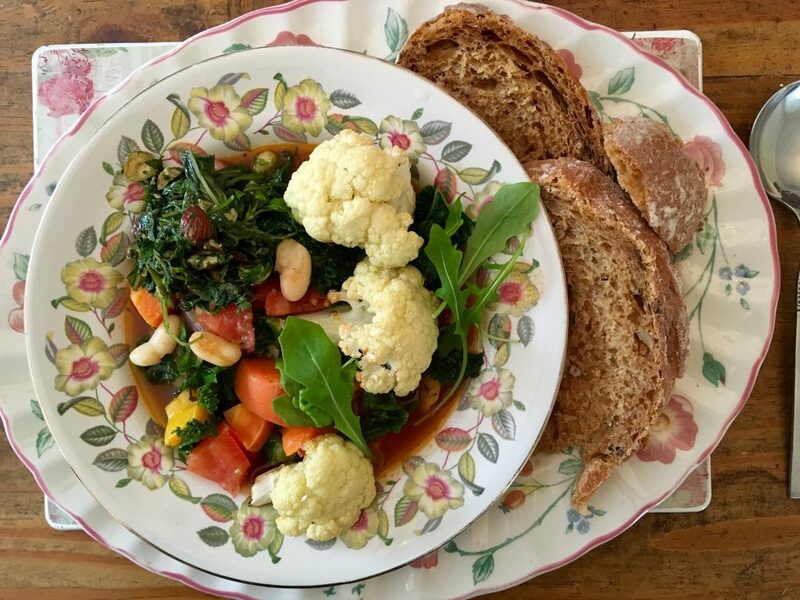 I love seeing recipes inspiring people to eat more veg. I hope your tooth feels better soon. Yummy! 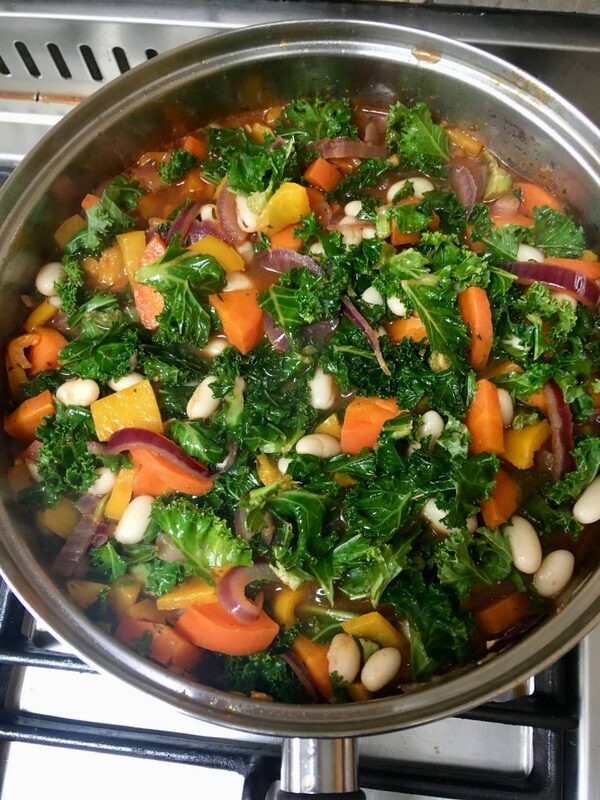 I need to eat more veggie meals, and this one looks delicious! This looks like such a delicious soup! We love Hello Fresh – really need to try some of their boxes again. I’m a huge Hello Fresh fan. 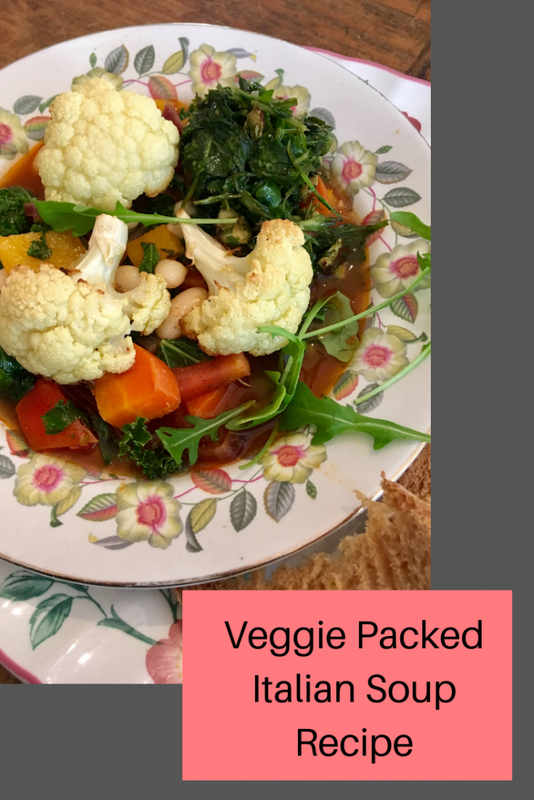 I ordered their boxes at the beginning of the year as they had some great deals on and I managed to lose a fair few pounds as it helped me to get back into the habit of cooking from scratch. This soup looks so yummy!